Millions of People die every year from diseases caused by exposure to outdoor air pollution. Especially, one of the most severe types of air pollution is fine particulate matter (PM10, PM2.5). South Korea also has been suffered from severe PM. This paper analyzes regional risks induced by PM10 and PM2.5 that have affected domestic area of Korea during 2014~2016.3Q. We investigated daily maxima of PM10 and PM2.5 data observed on 284 stations in South Korea, and found extremely high outlier. We employed extreme value distributions to fit the PM10 and PM2.5 data, but a single distribution did not fit the data well. For theses reasons, we implemented extreme mixture models such as the generalized Pareto distribution(GPD) with the normal, the gamma, the Weibull and the log-normal, respectively. Next, we divided the whole area into 16 regions and analyzed characteristics of PM risks by developing the FN-curves. Finally, we estimated 1-month, 1-quater, half year, 1-year and 3-years period return levels, respectively. The severity rankings of PM10 and PM2.5 concentration turned out to be different from region to region. The capital area revealed the worst PM risk in all seasons. The reason for high PM risk even in the yellow dust free season (Jun. ~ Sep.) can be inferred from the concentration of factories in this area. Gwangju showed the highest return level of PM2.5, even if the return level of PM10 was relatively low. This phenomenon implies that we should investigate chemical mechanisms for making PM2.5 in the vicinity of Gwangju area. On the other hand, Gyeongbuk and Ulsan exposed relatively high PM10 risk and low PM2.5 risk. This indicates that the management policy of PM risk in the west side should be different from that in the east side. 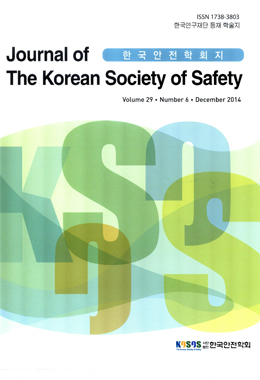 The results of this research may provide insights for managing regional risks induced by PM10 and PM2.5 in South Korea.